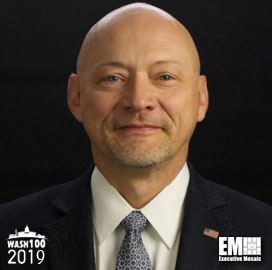 Executive Mosaic is pleased to announce David Young, senior vice president of strategic government at CenturyLink, as an inductee into the 2019 edition of Wash100 — Executive Mosaic’s annual selection of the most influential voices in the government contracting arena — for his efforts to serve federal clients and advance IT. This marks the second consecutive Wash100 award for Young. CenturyLink concluded its acquisition of Level 3 Communications in November 2017. When asked about the transaction, Young said the purchase enables CenturyLink to better serve federal clients. “If you look at the combined capabilities that we can use to architect solutions, it puts us in a whole different realm than what the two companies could do on a standalone basis,” he said. In June 2018, CenturyLink secured a two-year contract to offer commercial internet services to the members of Quilt, a nonprofit coalition of U.S. research and education networks. Young said the selection acknowledges the company’s efforts to deliver secure network systems to large educational institutions and public consortia. A month later, the General Services Administration issued an authority to operate and offer IT and managed services for agencies under the $50B Alliant 2 governmentwide acquisition contract. “We’re excited to receive ATO from GSA so we can help federal agencies use Alliant 2 to achieve their IT modernization goals and carry out their missions more efficiently,” Young said. CenturyLink holds a consolidated spot on the GSA’s $50B Enterprise Infrastructure Services contract for telecommunications support after the Level 3 deal was completed. Young noted that the transition to the EIS vehicle requires a “new culture” over technology use. He also called on federal IT managers to implement a “programmatic approach” as their organizations modernize their IT systems and transition from Networx to the EIS contract vehicle. Young is a three-decade veteran in the public sector and has held leadership positions in federal business development, sales, program management, network provisioning and capture management. Executive Mosaic congratulates David Young and the CenturyLink team for their selection to receive this award. This year represents our sixth annual Wash100 award selection. The Wash100 is the premier group of private and public sector leaders selected by Executive Mosaic’s organizational and editorial leadership as the most influential leaders in the GovCon sector. These leaders demonstrate skills in leadership, innovation, achievement, and vision. Visit the Wash100 website, where viewers can submit 10 votes for the executives of consequence they believe will have the most significant impact in 2019.